Symptomatic lower back pain treatment consists of methods of care that do not seek to cure, but instead merely reduce the severity of symptoms. Symptomatic care is a hot topic in the modern medical industry, since it is both advocated for and criticized widely for different reasons. We have written much on the subject of symptom-based care, but will provide a completely fresh view in this brand new editorial essay. 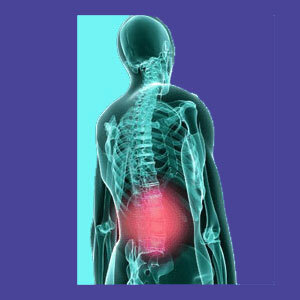 This patient guide focuses on the ever-growing practice of symptomatic therapy for lower back pain. We will define what symptom-targeting care truly is and why it is indicated for some patients. We will also discuss the controversy surrounding symptomatic care and provide eye-opening facts on the dark side of the practice that every chronic lower back pain sufferer must know. If you have been in treatment for a long time, but have not received a cure, then this article is certainly one that you absolutely must read and understand to your core. If not, then you will likely be in the same position in 10 years as you are right now: In pain, desperate and clueless about what to do about it all. Symptomatic care represents the opposite therapeutic approach from curative care. Instead of seeking to identify and resolve the underlying origin of pain, symptomatic treatment only seeks to identify and relieve the symptoms of the causative condition. This is why the approach is called symptom-targeting or symptom-based therapy. However, once doctors begin to practice in the real world, they also learn that symptom-based care is incredibly profitable. Why consult with a patient once and cure them, then lose them as a customer? Instead, you can keep treating their pain over a very long timeline, leaving their underlying pain-generating mechanism unresolved. This has been the evolution of the modern chronic pain treatment industry and there is absolutely no doubt that the development of virtually all the practices used to treat spinal problems today are economically-motivated, more than reflections of true enlightened science or ethical medicine. Not every patient can receive a cure for their pain. Some patients demonstrate severe structural spinal issues that just can not be completely fixed through any plausible means. Other patients have already gone through treatment and the therapies themselves have caused permanent injury to the spine or neurological structures, resulting in chronic symptomology. There are patients who are contraindicated from curative treatment, due to general health issues or specific risk factors that prevent them from seeking the type of care that might actual resolve their pain. Finally, there are patients whose pain is idiopathic and therefore doctors are not sure how to approach treatment from a curative perspective. All of these scenarios combined create a definite need for symptom-based care. If a patient can not be cured, then symptomatic treatment should be offered for humanitarian purposes. The therapies can reduce the severity of pain, increasing functionality and enjoyment of life, despite the presence of a pain-generating mechanism that remains unresolved. When patients fit one of these categories and completely understand the limits of symptomatic care, then we have no ethical issues with the practice of pain management. However, we find that most patients in symptom-based care do not fit one of these profiles and do not understand that they will never be cured using their present approach to care. For appropriately indicated patients, symptomatic care might still demonstrate considerable risk factors to consider. Many symptom-targeting practices are dangerous and harmful to overall health and wellness. This includes the most common forms of injection and oral drug treatments. In fact, oral pharmaceutical usage over long timelines subjects many patients to incredibly substantial health hazards. For indicated patients, we recommend finding constructive symptomatic acre practices that are effectual and safe, such as acupuncture, massage, pain coaching and others. For patients who are not indicated for symptomatic care, but receive it anyway, instead of curative care, the risks are even greater. Of course, they still must face the dangers of the potential health risks of drugs and/or injections. However, non-indicated patients must also endure the possibility for huge financial losses when they do not know that the type of treatment they are using is not curative in nature. The reason why this occurs is that doctors are not known for disclosure and what a patient does not know is probably better for the financial bottom line of the medical practice. We are always amazed at how many patients write to us complaining that they have been in some form of symptomatic care for years, but still have pain. 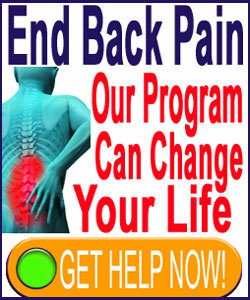 Of course you still have pain; you are not doing anything to cure it, because your doctor has made you into a slave. They control your destiny now and never even told you that the therapy they are providing will not cure you. In essence, the most serious risk of symptomatic care is that it will not only never lead to a cure, but will also prevent patients from seeking a true cure, even when one is readily available to them.